Description: This high quality digital is perfect for the little boy toddler in your life. Nana Vic is quietly watching from her picture frame on the back wall. 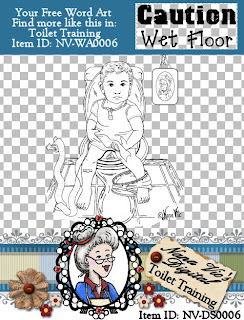 Looks great on your scrapbooking layouts, cards and humorous projects. No one said toilet training was going to be easy.